President-Elect Peter Charbonneau introduced and inducted into our club his (obviously younger) sister Catherine Allan MacDonald. Catherine is a mother of four and a grandmother. She has a long record of community involvement. While working at the St Mary’s School for Unwed Mothers she saw a need for addiction counseling and went to the United States to study addiction counseling. Catherine now owns and operates an addiction counseling practice specializing in assisting people to get through their first year after completion of their rehabilitation program (the twelve month period during which they face the greatest risk of relapse). Guy Milne introduced our newest member, Dr. Manny Dimanlig, DD a Denturist (designing, producing and fitting dentures) with 30 plus years as an active Kiwanian in The Philippines. In addition to his own practice, Manny operates a denture clinic at The Mission. We look forward to having Manny as a member and to having his son Mac visit us again. 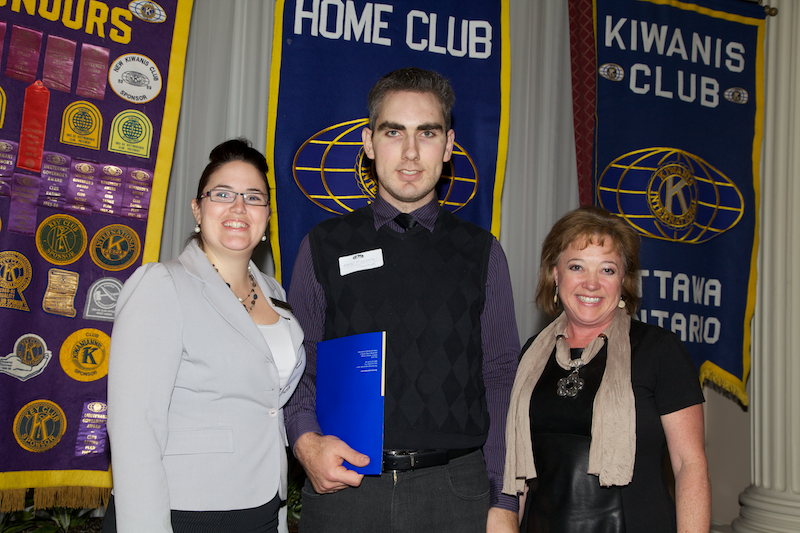 Katherine Usher-Vollett was inducted into our Kiwanis Club. She is the daughter of the late Kiwanian Lorne Usher ands his wife Betty. Katherine has been very active in sports and recreational management in and around Ottawa and we look forward to her carrying on the Usher tradition in Kiwanis. Luncheon Meeting - Bernie Shinder - Meet your fellow Kiwanians!